Sure, we sell craft beer and wine. But we offer so much more! Our cafe is serving up real, tasty food with a Latin/Mediterranean flare. Fitness too! Enjoy great tasting menu items including Quesadillas, Nachos, Street Tacos, Pita Pizzas, Wraps, and Salads using our in-house smoked meats and slow-cooked pork. All of our sauces are also made in-house and fresh every day. Thirsty and want something hearty? Try our naturally sweetened SMOOTHIES – made with fresh fruits and wholesome ingredients. No matter what you order, you won’t go wrong – and you’ll want to come back for more. Looking for some local entertainment? Join us on Tuesday and Thursday for Open Mic from 6:30-10P. Local musicians come out and strut your stuff – and the rest of you just come and enjoy the entertainment. Join us on Saturdays for Live Music from 1-4P with talented local singer/songwriters. See our Events and Happenings Section for more info. Flacas offers a variety of fitness classes using state-of-the-art streaming technology as well as live teaching. Check out our Yoga and Kick Boxing classes. Everyone is welcome, from beginners to fitness enthusiasts. If your goals are building strength, flexibility, weight loss, or injury recovery, we have something for you! Don’t be shy — come in and try it! 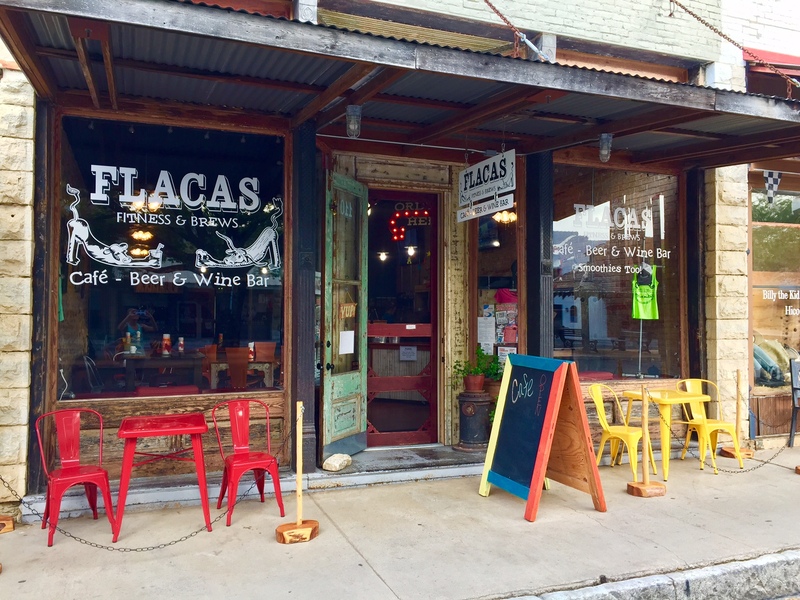 Enjoy our inviting and comfortable digs in the heart of historic downtown Hico, Texas. Come meet new folks or have a visit with some old friends. Please leave us a review, too! Click here.